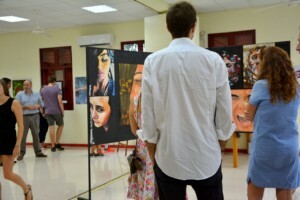 The Art exhibition showcased the talents of the Year 13 IB and A Level Art students. Our 6 artists impressed with a range of individual art styles that included drawing, painting, sculpture, photography, video art, installation and digital art. Congratulations to Candice, Pip, Ameydi, Kim, Kimberley and Hannah.